We think fairy lights give a timeless magical effect. Our fairy lights can be used almost anywhere to highlight features, dress areas or make a magical backdrop. 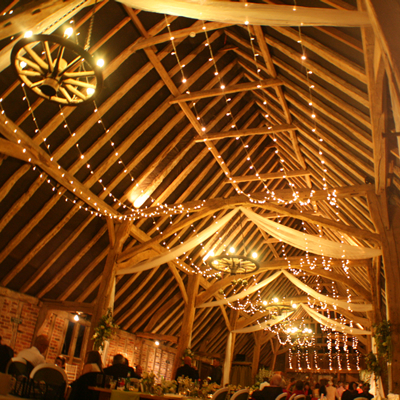 Our most popular product is our fairy light canopy to really give you a night under the stars. These delicate paper lanterns appear to float above you to create a stunning effect. 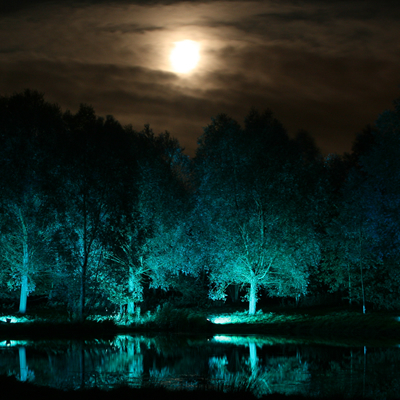 These lanterns are supplied in a variety of sizes complete with lighting for an atmospheric glow. 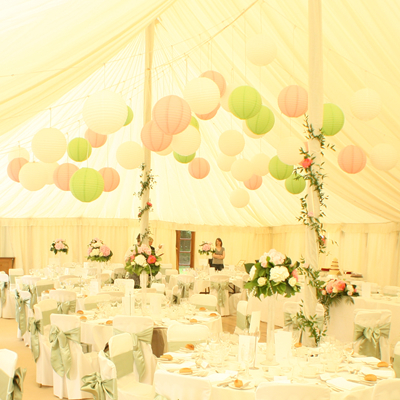 The wedding lanterns are available in a whole range of colours to perfectly match your day. 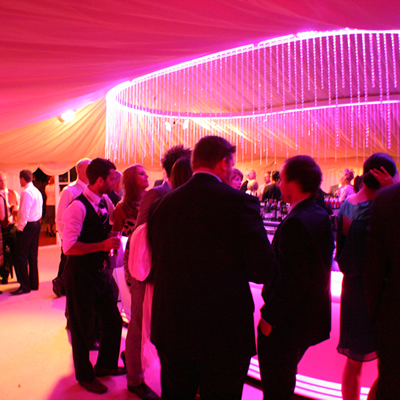 We have a range of chandeliers to add a brilliant feature to the roof of your venue. From massive modern styled crystal creations to traditional chandeliers and even fairy light designs our extensive range ensures we’re bound to have a style to suit your requirements..
Festoon lighting is ideal for creating a vintage theme or circus inspired wedding setting. 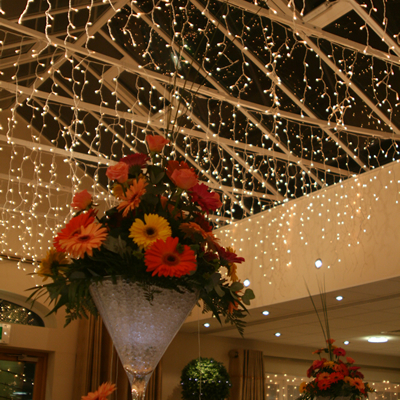 Strings of light bulbs are used to create a canopy inside or out and can even be complemented with paper wedding lanterns. 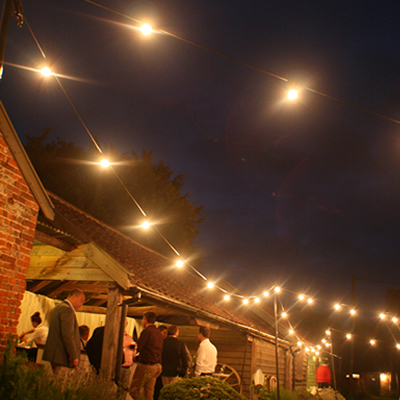 These dimmable festoon wedding lights provide a warm glow for a truly romantic setting. Lighting the exterior of your venue will add a whole new dimension to your wedding design. Coloured lighting and white highlighting are perfect for trees and architectural features, while fairylights and festoon lighting create a romantic feature. Thank you so much for your time and effort... If we get the chance to recommend you to others we will, as you were very professional and friendly.